Wedding bags are essential to complete any bridal look. Maybe your wedding dress doesn't have pockets (which most don't), where will you put your phone, lippy or anything else you may need to hand? 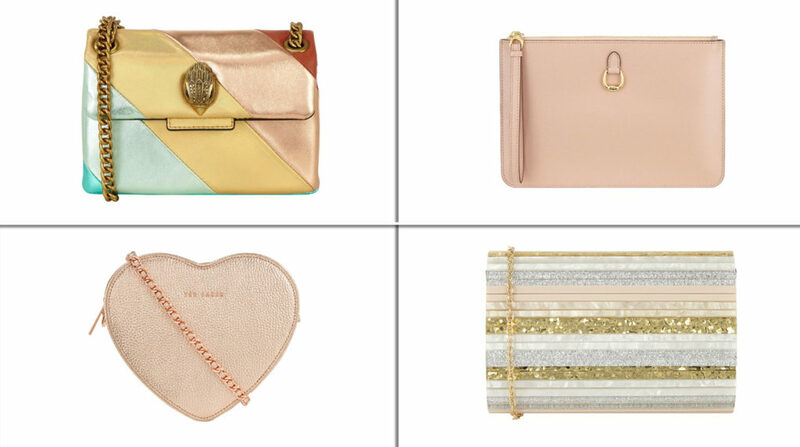 Our best advice is to pick up a little wedding clutch so you can put the essentials into. Rather than carry it around, you could ask your maid of honour to mind it or leave it under your seat, so you can easily access it. 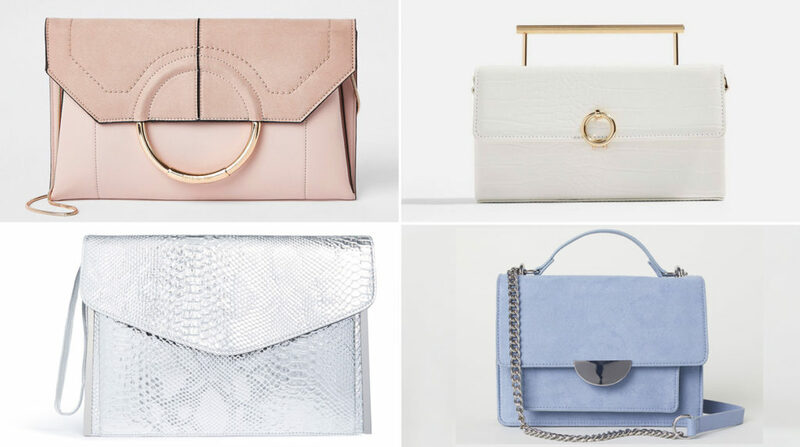 Without further adieu, here are some awesome new season wedding bags that we're loving. Furthermore, we've broken it down into different price brackets to make things easier. 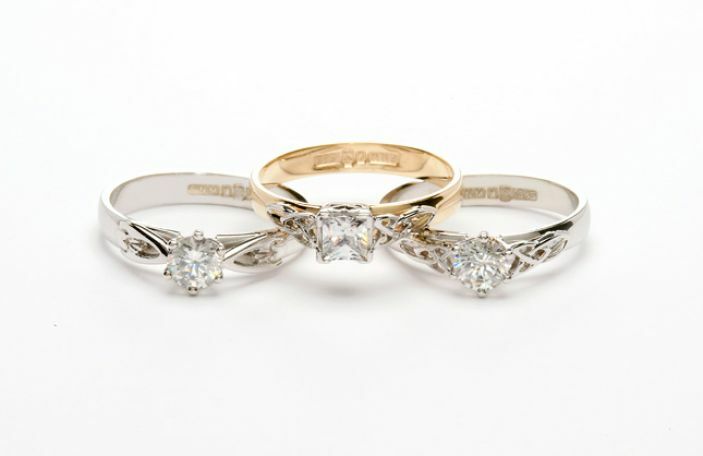 For brides on a budget who want something cute but also non-expensive, we got you. 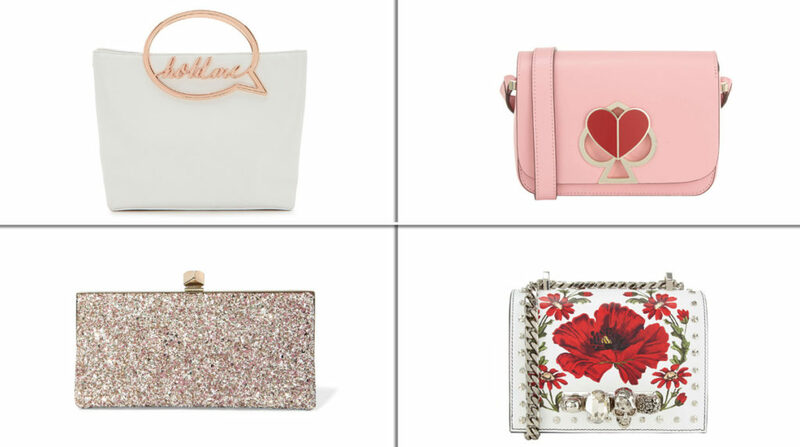 Trust us, it's still possible to get gorgeous clutch bags for a fraction of the price. So, if you're worried about getting something that is cheap and chic, we've sourced some fab ones. For example, the suede River Island bag is a dream. We get it – you want to treat yourself while at the same time, you don't want to spend a bomb. So, look to more mid-range designers or department stores rather than the more expensive brands. Certainly the likes of Arnotts and Littlewoods Ireland stock a wide variety of affordable designers. Now to bring out the big guns – high-end designer wedding bags for the ultimate pre-wedding treat. It's an investment, a statement piece and above all, you'll get loads of wear out of it, right? !